I don’t suppose a road can be defined as two dirt tracks just wide enough for a tractor; nor a rutted path that weaves and bobs through a black forest in the middle of nowhere. 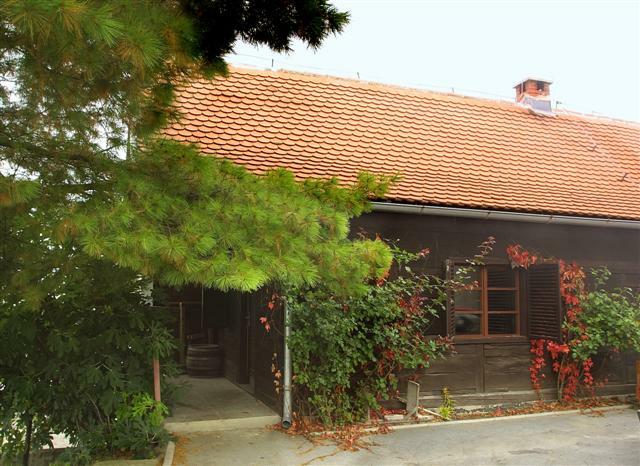 But it was on such a “road” that I found myself, in a little 4-cylinder Fiat with wheels the size of Frisbees, one starry evening last November, following Marko Miklaužić up to the outpost of his winery in the Voloder-Ivanić Grad wine-growing hills of Moslavina, Croatia. With the car lurching and shuttering as it plunged through muddy depressions, roiled over the humps of protruding boulders, and squealed as tree branches from the edges of the forest clawed across sheet metal, I pressed on. Occasionally it crossed my mind that I had no idea who this man in the car in front of me really was (I had only met him minutes earlier in front of a small supermarket in town, after which he told me to follow him), and I certainly had no clue as to where on earth he was taking me. But none of that mattered. I was on another grapey adventure. 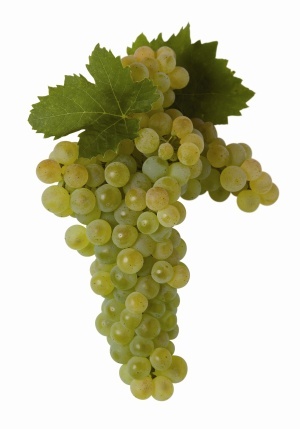 This time to investigate a little-known white grape called Škrlet. Outside the Miklaužić winery the continental night air was sharply cold, and I could see my breath as Marko sorted through keys to open the door. Millions of stars were sprinkled like white freckles across the dark skin of night. Coincidentally, freckles are what lured me to Moslavina. Not the freckles of stars or pretty Croatian girls (although who could resist those!). Rather, the freckles – or more precisely the Scarlet Fever-like rash spots – of the Škrlet grape. 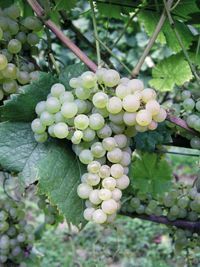 Native to the Moslavina (Moslavačko) region of north-central Croatia, just southeast of the capital city, Zagreb, the Škrlet grape is relatively unknown outside of Croatia. Actually, beyond its primary growing areas around the towns of Kutina, Čazma and Voloder-Ivanićgrad, as well as the town of Sisak in the Pokupje region, I would hazard to suggest that there are few Croats who have ever heard of or tasted Škrlet. Derived from the German word “scharlach”, meaning a speckled or dotted surface (hence, the name also given to the rash-giving illness, Scarlet Fever), Škrlet is distinguished by the fact that – when ripe – its berries can become speckled with purple or reddish dots on its golden-orange skins. After a tour of the winery and cellars, Marko and I settled down in the warmth of the tasting room and chatted as I tasted through a few examples of his Škrlet wines. He told me about the spring hail that knocked out about 80% of his red grape (Frankovka, Merlot & Pinot Noir) harvest. With a shrug of the shoulders, he mentioned how he didn’t have hail insurance, which reportedly costs about $1,000 per hectare. 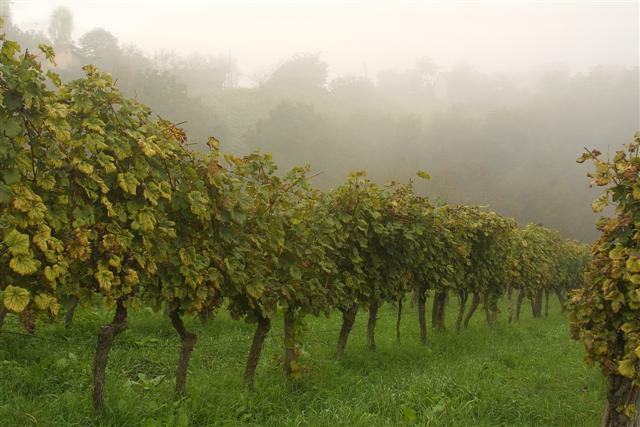 Luckily, the 7 hectares of Škrlet vineyards were unharmed. 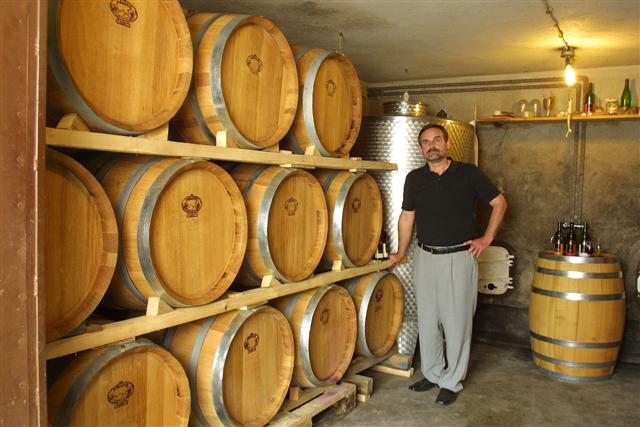 In a typical year, Miklaužić winery produces about 100,000 bottles of wine from its 27 hectares of vines (17 in ownership/10 leased). 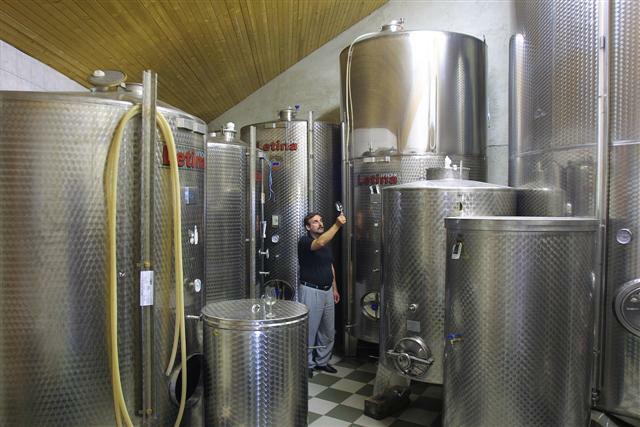 Of this amount, Škrlet accounts for about 25% of his production, or 25,000 bottles. 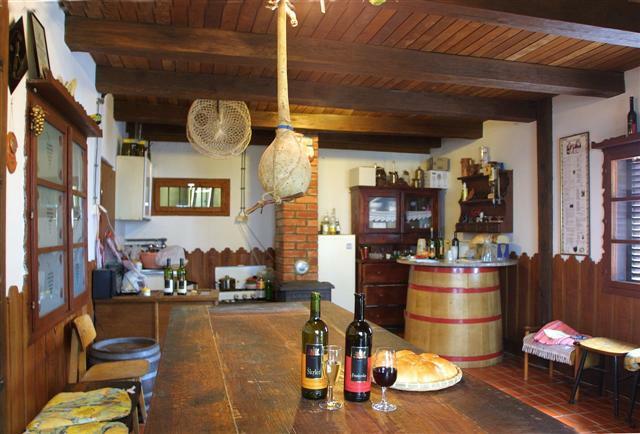 Škrlet is an easy-drinking wine that is best consumed in the first year and no later than two years of the vintage. Most often it is made into a fresh, crisp, youthful style, but sometimes you can find riper, off-dry versions. 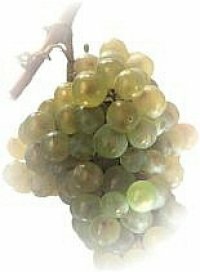 Younger styles – like the 2008 “Kvalitetno” version I tasted – tend to be light straw yellow in color with flashes of green highlights. On the nose Škrlet shows aromas that are often suggestive of green apples, pears, citrus, chamomile tea, thistles, field grass and hay – aromas reminiscent of a spring pasture. On the palate, it is light to medium bodied, with an alcohol content ranging from 9.7% – 12.5%. 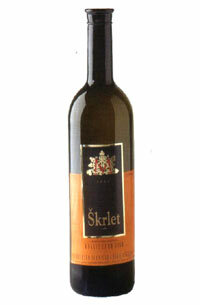 A prominent feature of the palate experience is the bright, zesty acidity with a slightly bitter note of the back palate, which makes Škrlet a wonderful, palate-cleansing and food-friendly wine. While the finish is rather short, it is nonethelass pleasant with flavors of juicy green apple and lemon with green herbal notes. 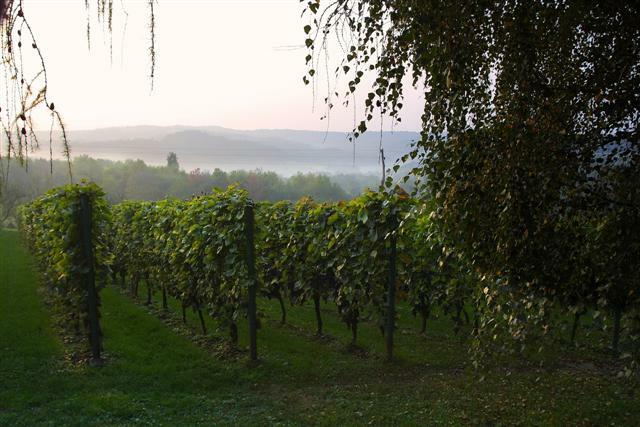 Riper, late-harvest versions, like the wine from Mikša winery, show more red apple, apricot and dried hay characteristics – sometimes with a hint of elderflower – while retaining a nice, balanced dose of acidity. Škrlet is best served chilled with dishes that feature poached white fish, poultry, and green vegetables such as asparagus, leeks, lettuce, snow peas, and zucchini. 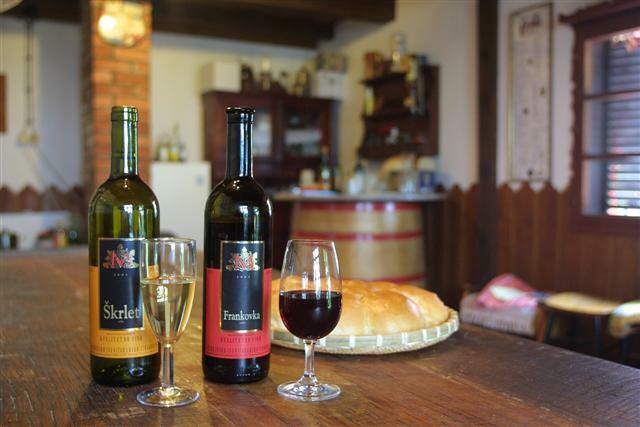 Currently there are just a handful of producers making wine from Škrlet in the region, with much of the small production consumed locally. 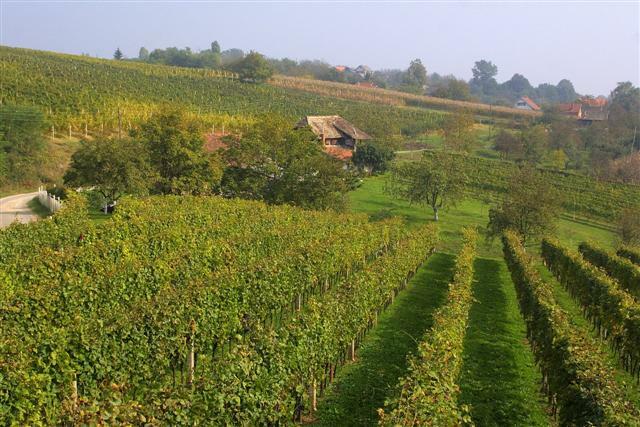 Consequently, availability of the wine outside the borders of the Moslavina and Pokupje appellations is limited. At the moment none is exported. However, increasing interest among domestic and international wine connesuiers toward wines made from indigenous varieties, as well as recognition among some wine critics that Škrlet is an interesting grape variety that has the potential to deliver wines of good quality and universal appeal, has resulted in increased plantings, which will presumably result in wider distribution of this unique and off-the-beaten-path wine. Another plus, accorsding to Marko, is that Škrlet is very resistant to disease and rot – quite a necessary trait in a region that can be wet and cold, not to mention remote. 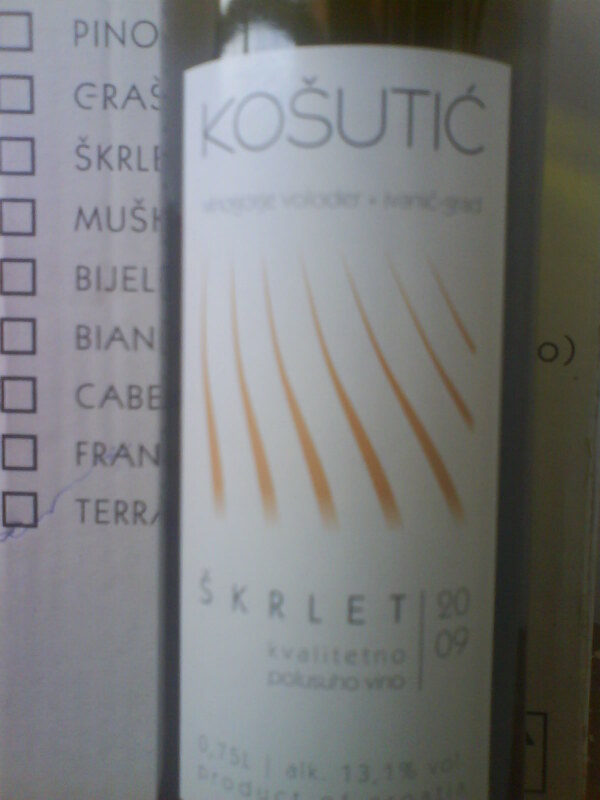 In addition to Miklaužić winery, other producers of Škrlet include Juren, Kezele, Košutić, and Mikša in Moslavina, and Trdenić in Pokupje. Other regional synonyms for Škrlet include Ovnek žuti, Ovnek Slatki, Škrlet Tusti, and Škrtec. Sometimes when in search of off-the-beaten-path wines, one must take the road less traveled. In the case of Škrlet, that road – for now – may be a little hard and bumpy and inaccessible to most of us, but it is definitely worth the trip. 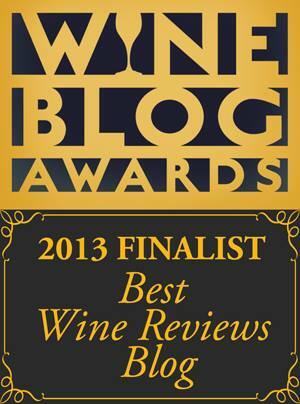 After all, isn’t that part of the wonder and magic of wine? Finding that next tasty discovery, revealed to you when you least expect it, one that transports you to places where tour buses can’t roam? For me that’s one of the most exciting things about discovering the wine roads and native grapes of Croatia. To find them you must travel down paths where few have ventured before. For the intrepid (and thirsty) explorer, the other end of the path often reveals hidden treasures and unspoiled beauties that wait like lovely, freckled princesses.